To make things easier, we made some graphics and wrote some words that you can copy and paste. You can share these whether you're hosting an event or not. What do you know about refugee issues? If you've noticed the subject a lot lately and don't know what to do, get involved in the Week of Welcome — http://weekofwelcome.org. People coming together all over the world to get informed and take action! (a) care about or work on refugee issues? (b) are or were a refugee? (c) know current or former refugees personally? (d) think that you should know more about refugee issues but, honestly, just know that it's an issue that's been on your feeds a lot lately? Refugees aren't an issue. They live in our neighborhoods, and we should do our part in making them feel more welcome. 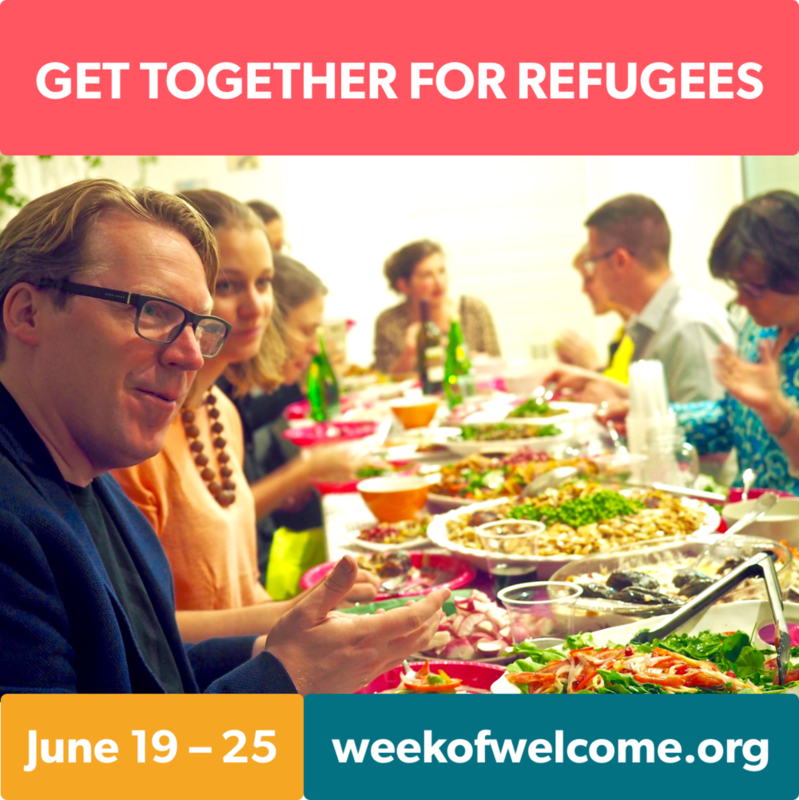 Join me and let's create a more welcoming society for refugees — http://weekofwelcome.org. Even though we put these together, the fact is that the best way to share is to write something from the heart. Be honest when reaching out to your friends and networks. Tell them why you care about this personally. Why does creating a welcoming community matter to you? What are you hoping to get out of this personally? Just say that. And don't forget to include the link, http://www.weekofwelcome.org, and the hashtag, #weekofwelcome, when sharing.